Facebook recently turned 15. We can’t help but notice how a small university project meant to connect the students of Harvard with each other, ended up becoming the biggest Social Media Networking platform. Mark Zuckerberg always believed in “taking the next step”. 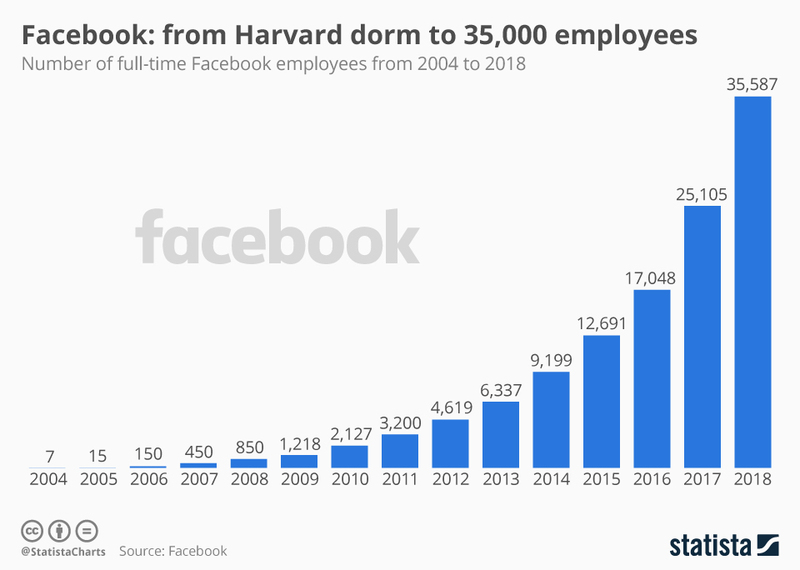 After the Facebook project was successfully implemented for Harvard, its services were extended to other colleges and universities before becoming a publicly accessible platform. Facebook was created in 2004. 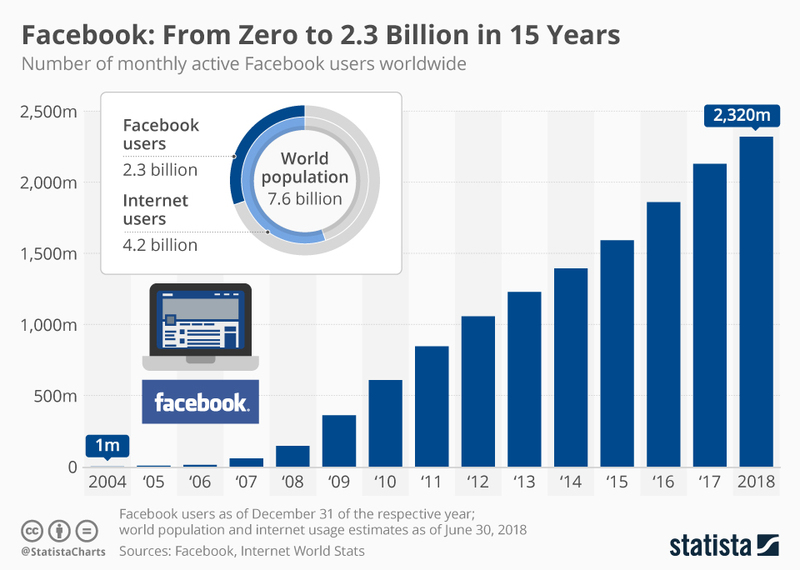 Fast forward to the present day, Facebook now has over 2.3 Billion users and the number is only rising with every passing day. In addition to becoming one of the biggest tech companies, Facebook’s founder Mark Zuckerberg also ended up becoming the fifth richest person in the world. However, the journey to this unbeatable status wasn’t an easy one. There were several challenges. One of the earliest setbacks was the direct competition with MySpace, another social networking website. As MySpace came into existence before Facebook, it quickly became the most talked about social networking site. MySpace reached its peak when in 2006, it became the most searched website in America for a brief amount of time. MySpace’s success was short-lived due to some bad corporate decisions and not being able to properly understand the user requirements. Facebook, on the other hand, made sure to let its user take the steering wheel. Requested features such as “chat” were added. In addition to that, the game “Farmville” was a treat for the users and helped engage users in the product. Slowly and steadily in 2010, Facebook finally surpassed MySpace. Shortly after, Facebook ended up going public and Zuckerberg managed to preserve the stake of the shares. After surpassing MySpace, Facebook caught the attention of Google. Google, in hopes of getting rid of the competition, introduced its own Social Network “Google+”. Initially it seemed like the backing of Google would make Google+ dethrone Facebook and with the promising number (10 million) of subscriptions within the first month, it again started looking like Facebook will have a much bigger and better counterpart. Facebook even went into a “lockdown” mode to come up with a strategy to handle this challenge. The short hiatus turned out to be the game changer for Facebook and Google+ had to shut down last year due to constantly losing users. In 2012, the number of users signed up with Facebook reached the historic one-billion mark. The rapid success attracted more competition as time went by. Countless other industries were set up, such as Instagram. While Instagram achieved monumental success in a short amount of time, its numbers weren’t even close to Facebook’s. However, Zuckerberg realized that it was a threat, which needed to be taken care of soon. In September 2012, Facebook brought Instagram for $1bn. Under Facebook’s wing, Instagram crossed the 1 billion users mark too. Then, Facebook set its sights on the rapidly growing messenger app “WhatsApp”. In 2014, Facebook ended up acquiring WhatsApp too, for a whopping amount of $19.3bn. Fast forward to 2019, WhatsApp has also achieved the 1 billion users milestone. In just 5 years, the message sharing platform witnessed a gigantic growth from 500 million to 1.5 billion users. According to latest statistics, Facebook operates its social media platform with the help of 35,000 full-time employees. Speaking about influence, Facebook and Google now have control over 70 percent of the Internet traffic. Speaking about just Facebook, there are now over 2.5 billion people around the globe, who have access to at least one of the apps/sites owned by Facebook (including WhatsApp, Instagram and Messenger). This whopping number is nearly half the population of this planet. The best thing about it is that the numbers will only rise as years go by. "When I started Facebook, I believed that we all have a deep desire to focus more of what we do around people — not just content, commerce, companies, apps, or politics. ", announced Mark Zuckerberg on Facebook's 15th anniversary. Adding further, "I still believe this today, and I'm grateful to everyone in our community who believes this too and is building this world every single day. Here's to a great 15 years to come."